One of the most instantly recognizable sports officials of all-time. Officiated 2,561 regular season NBA games. Officiated 374 NBA playoff games - the most ever. Worked 50 NBA Finals games - second all time. Officiated the 1986, 1992 and 2000 NBA All-Star games. Officiated the 1993 McDonald’s Championship in Munich, Germany. 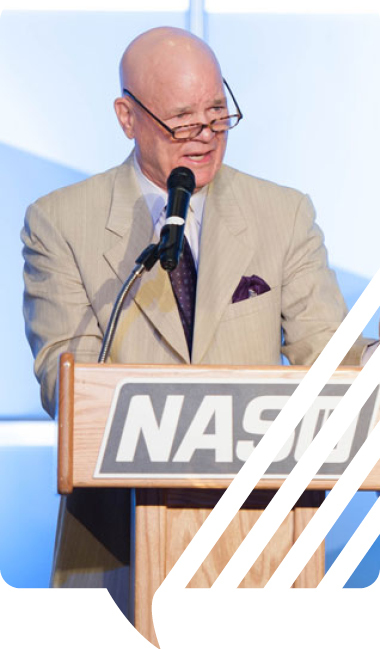 Crawford received the NASO Gold Whistle Award in 2014, officiating’s highest honor. Crawford comes from a background of officiating. His father Shag Crawford is a retired MLB umpire. His brother, Jerry Crawford is an active umpire. Crawford tried baseball but quickly fell in love with the game of basketball and went his own path within the family officiating tree. In addition to his work in basketball, Crawford is heavily involved in helping his hometown community of Philadelphia. Prior to entering the NBA Crawford had officiated in Eastern Basketball Association (later become the Continental Basketball Association, CBA) in 1974 and 1977. Crawford began officiating in 1970 working high school games in Pennsylvania until being hired in the NBA in 1977. 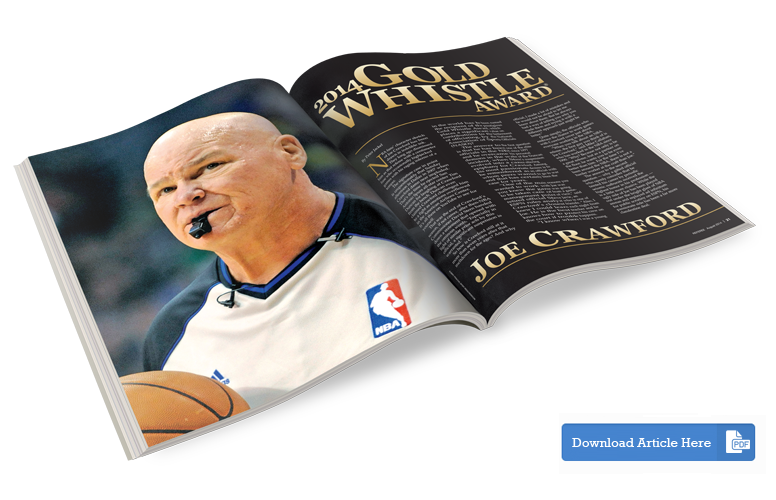 Joe Crawford appeared in a feature article in the August 2014 issue of Referee Magazine.